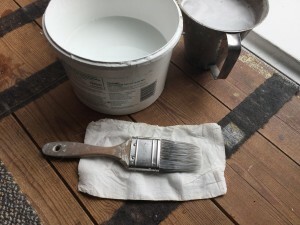 I have written a post previously about how to mix wallpaper paste, many people have problems getting it just right and get lumps in it or make it to thick or runny, not too dissimilar to porridge or custard!!. I decided to make a video showing you how to mix the perfect wallpaper paste, I have done it this way for years and mix the perfect paste every time. I decided to make a video of myself mixing the paste on a recent job I did, the paste mixed was used to hang lining paper. So here is the video….. I hope you find this video as well as our other videos helpful and informative, look out for more in the future.